The MRCGP examination is the postgraduate medical qualification that is currently required to attain a certificate of completion of training (CCT) in General Practice. WPBAs serve to evaluate a doctor's performance in the twelve professional competence areas that make up "Being a General Practitioner". This assessment takes place in a variety of settings in different specialties throughout the GP's training programme. The AKT is a computer based examination comprising mainly single best answer questions and extended matching questions. It tests the fundamental knowledge base required to work in general practice in the UK. More information about the MRCGP examination can be found on the Royal College of General Practitioners website. 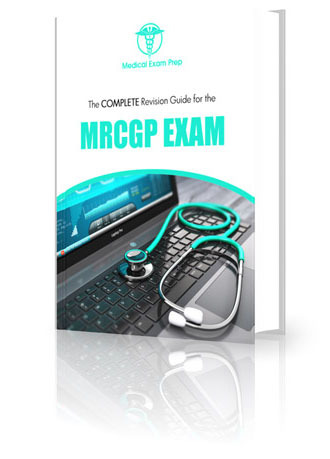 "MRCGP Exam Prep is a fantastic online resource which is closely aligned with the MRCGP exam. It is a reliable site to practice examination questions and a great way to prepare for the exam. It helped me spot the gaps in my revision and resulted in success on my first attempt at the MRCGP. "